Here are a couple more sample images displaying our ‘Bolton Commercial’ family. We thought with the festive season on the horizon, a toy theme might be appropriate. Though these are specimen advertisements we’ve constructed, it might be of interest to know that both toys featured therein are were in fact real and sold commercially in their day. 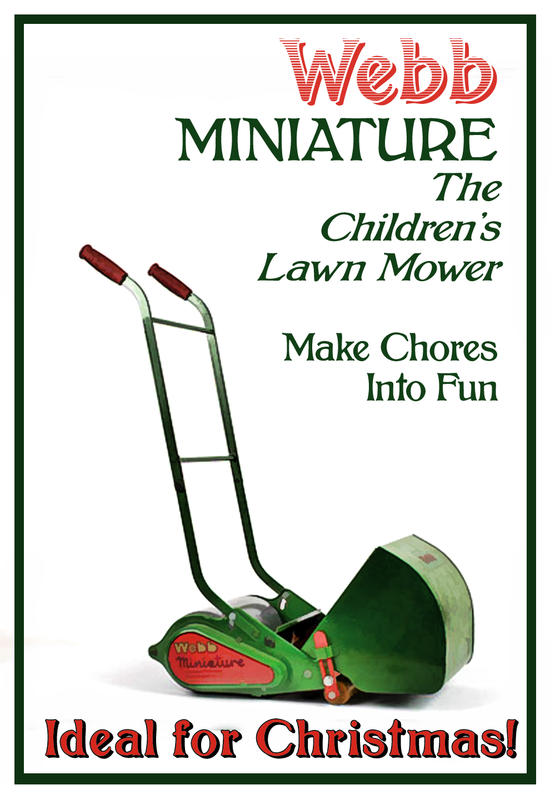 The English lawn mower manufacturer Webb, did indeed make a ‘miniature’ model as a children’s ‘toy’. 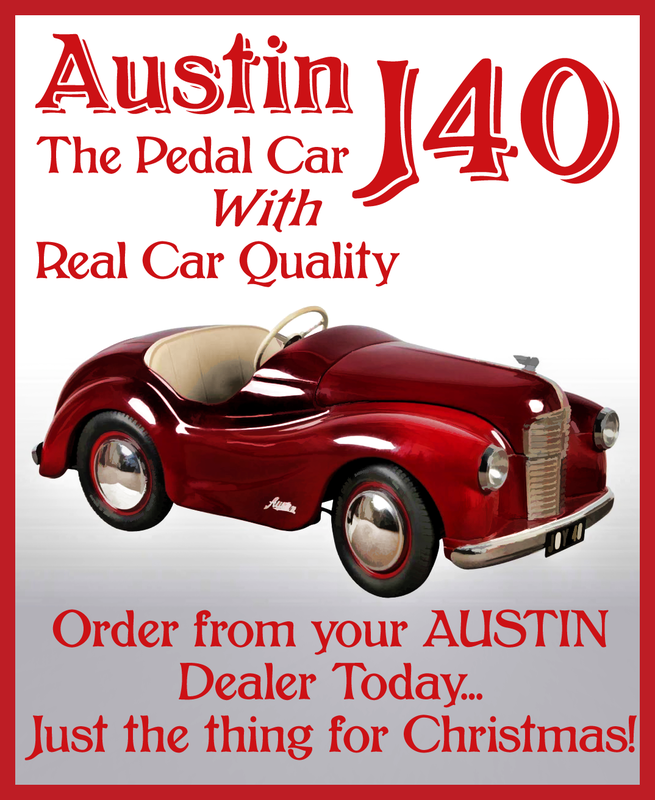 The J40 pedal car was a scaled down replica of Austin’s A40, sold through their own dealers and garages.